With fish mortality and catch & release being an omnipresent topic, (particularly as it relates to trout), thought it might be an opportune time to discuss landing nets. While not essential to the fishing experience, landing nets certainly can come in handy for those that want to land a fish quickly and efficiently, as well as perhaps snap a fast photo of their catch. A skilled netting allows the angler to keep the fish corralled (and wet), while they reach for their camera, smartphone, etc... and minimizes the overall handling time during the photography and/or release process. Heck, it can even serve as a nice backdrop for the photo itself. 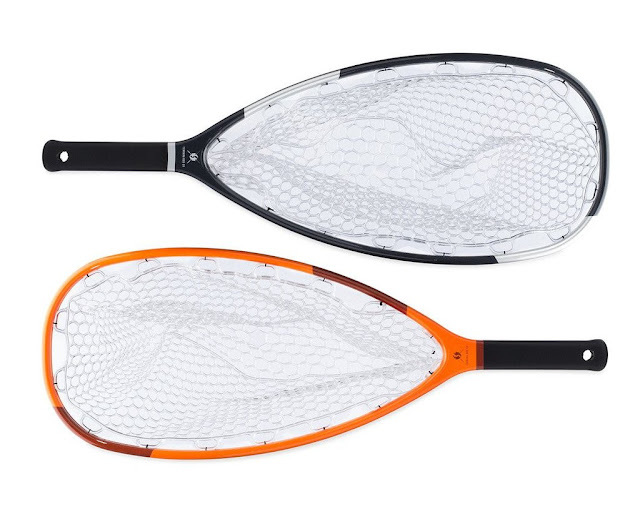 Truthfully, this post could easily be called "5 Landing Net Options For The Small Stream Angler," but since most of these nets are associated with tenkara due to their shape and stylistic origin, I'm going to run with the original post title noted above. 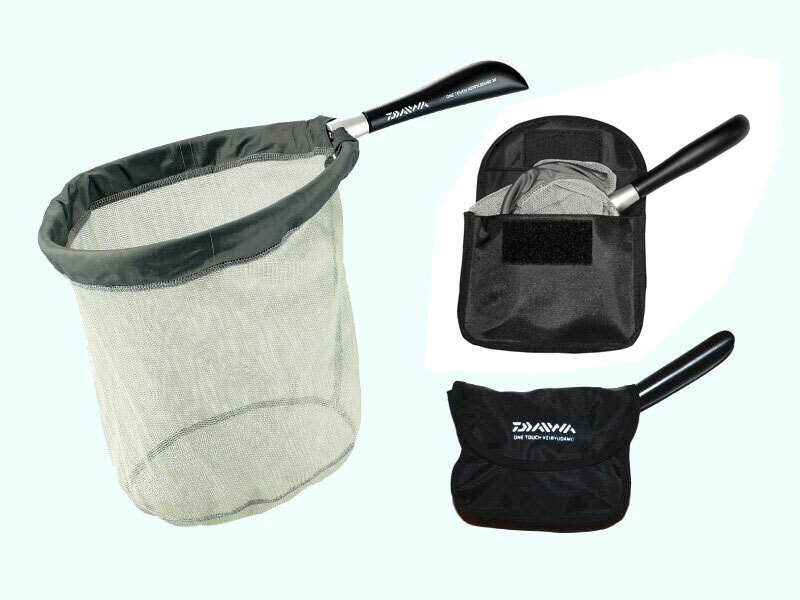 Similar in shape to the Tenkara USA net, the Daiwa One Touch damo (net) is different in the fact that it folds into a compact shape when not in use. The spring form hoop collapses in a fashion similar to those quick pitch, pop up tents or sports goals. 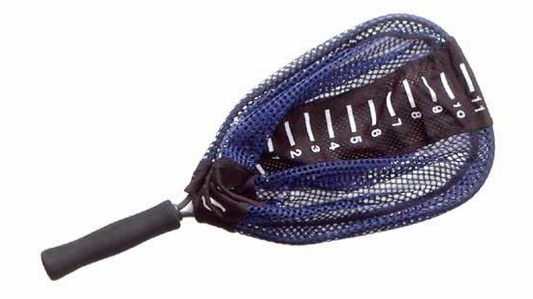 Shimano also made a folding net, however, it is now discontinued. (Interestingly, Dragontail Tenkara has introduced their own private-label damo at a price significantly lower than that of Daiwa). 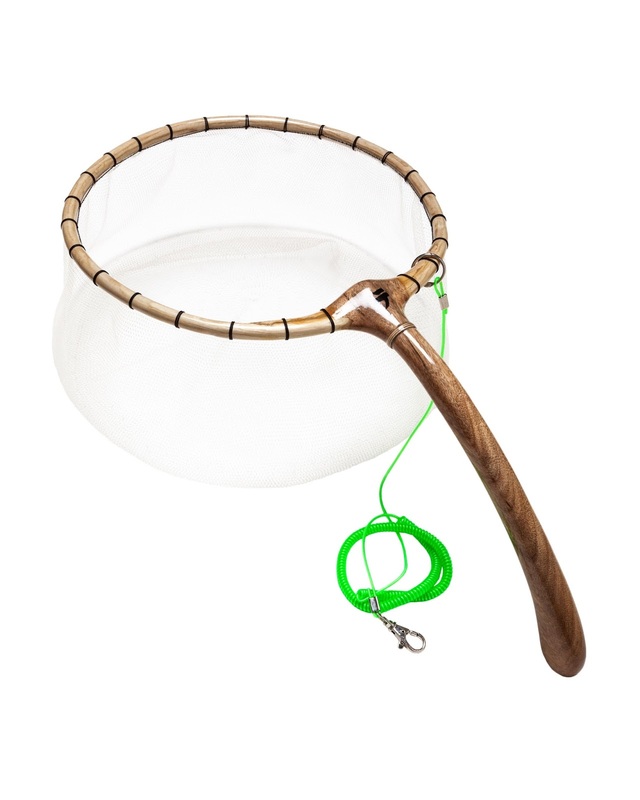 Ok, these nets aren't necessarily small stream nets, but since they're made by a tenkara company, I figured they were worth mentioning in this rundown. Made of carbon fiber frames, these nets somewhat resemble a performance tennis racquet in appearance and come in colors that key back to some of the Tenkara Rod Co's best selling rod models. A larger basket than most others on this list, these nets will accommodate that surprise "king of the stream" with ease. Finally, thought I'd close out with a net made by craftsman Sam Lacina. His "tenkara-style" nets are small works of art you can bring on stream with you. This is by far the most expensive option on this list (almost 10x the retail price of some of the others), but you get what you pay for with some exquisite woodwork. Mr. Lacina's nets are of heirloom quality and are as functional as they are beautiful; for example, the longer handle in the model highlighted allows for extra reach when landing fish. Mr. Lacina does custom work, so if these specs are not what you prefer, he can try to meet your needs accordingly. So that's the tenkara net roundup. I didn't come close to noting all of the options out there, these were simply nets either I've personally used, or have noticed others use in the several years I've been fishing tenkara. 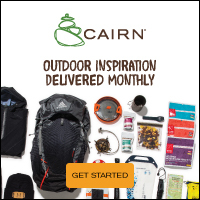 I know there are plenty of other net models that both tenkara and other fly anglers use... from inexpensive to pricey, from wood to aluminum, from brand name to generic. Heck, many even put their DIY hat on and choose to craft their own from Y-shaped tree branches. Maniacs! If you'd like to highlight a net brand you personally prefer, please feel free to do so in the comments below, (but no blatant advertising, please). Hi, Mike. I like the Measure net - small - easy to carry- and, most of all, I never catch anything bigger than that anyway! Sometimes the best net is no net! Since tenkara is about simplification, going without one is a very viable option. The upside is simpler gear, no net hanging up in the brush, flies not getting hooked in the mesh etc.. The downside is that some fish will get away without the net, but not a big deal if you are releasing them anyway.